This year, five state legislatures passed laws mandating that every public school prominently display the U.S. motto, “In God We Trust.” The addition of Arkansas, which passed such a law in 2017, brings to six the number of states with public school mandates, including Alabama, Florida, Arizona, Louisiana and Tennessee. 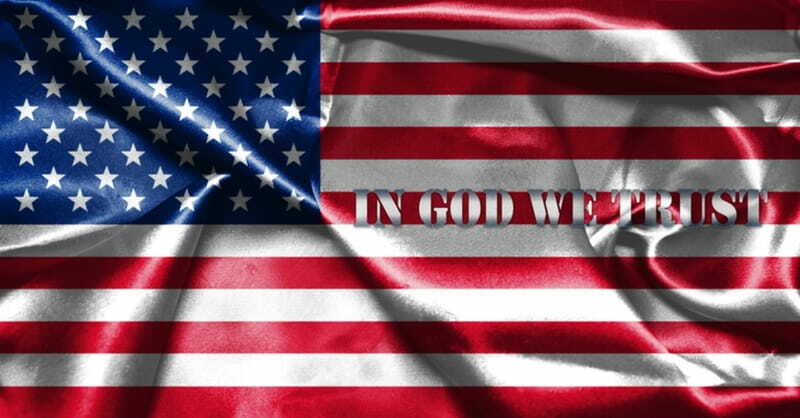 The list of “In God We Trust” legislation doesn’t count states like Minnesota that passed a law allowing but not mandating that public schools post the motto, or a new North Carolina law requiring the Department of Motor Vehicles to issue optional “In God We Trust” license plates. Project Blitz has been likened to the American Legislative Exchange Council, or ALEC, which brings conservative state lawmakers together with corporate sponsors to draft model legislation. The model bill project was conceived by the foundation based in Chesapeake, Va., alongside two partners: WallBuilders, the group headed by Christian nationalist David Barton, and the National Legal Foundation, a Christian public interest law firm. Americans United for Separation of Church and State has been keeping track of Project Blitz legislation. It found that there were 76 bills introduced in state legislatures nationwide in 2018 that were either identical or used similar language to the Project Blitz manual. “Our national motto and founding documents are the cornerstone of freedom and we should teach our children about these things,” said Tennessee State Rep. Susan Lynn, who sponsored the bill that passed in that state in March. Other liberal Christians are also objecting to efforts to use religious freedom as a ruse. Regional affiliates of Americans United — including one in North Carolina — are watching developments closely.